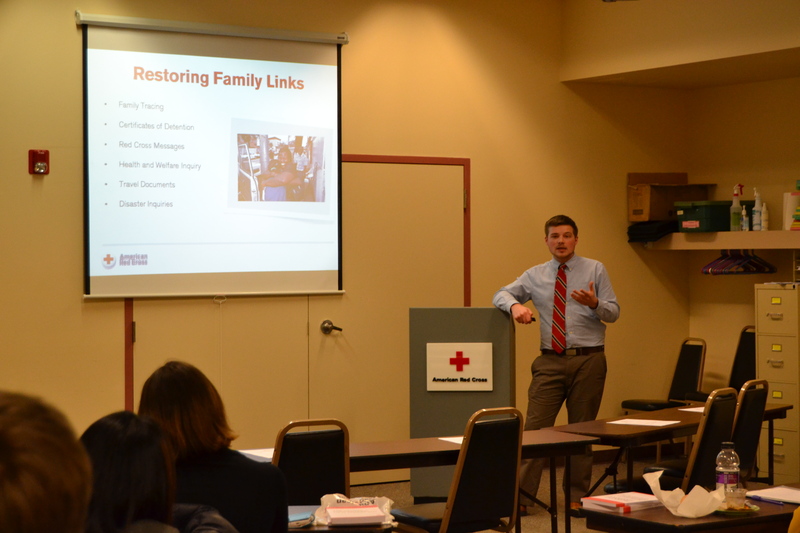 Cody teaches local law students about the Restoring Family Links program. 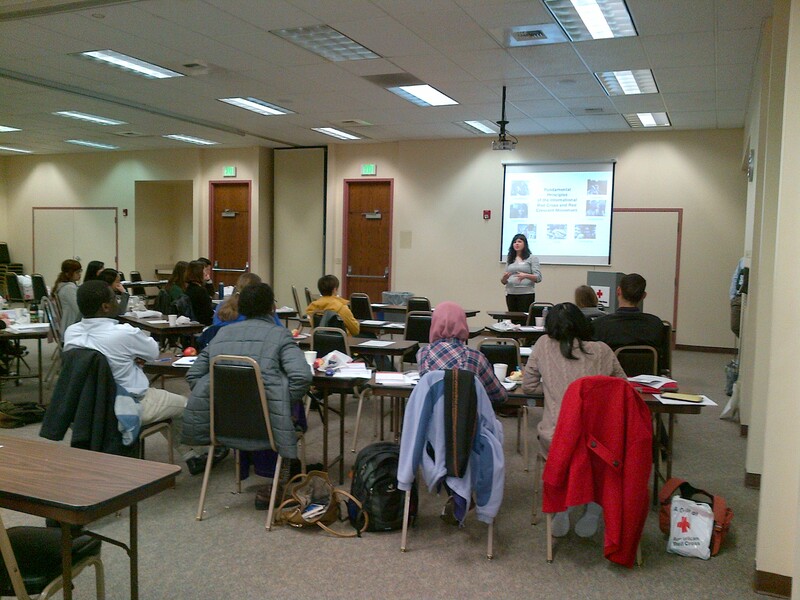 Sarah presents the Red Cross’ seven fundamental principles. Check out these excellent posts written by Western Washington Red Crossers! Cody Austin, International Services Coordinator and AmeriCorps, wrote about Contributing to Social Justice through our Restoring Family Links program. Cody writes of his experiences helping Iraqi clients, “As a member of an organization committed to protecting humanitarian values and social justice, I consider it a great privilege to help Iraqi refugees obtain their due and restore their human dignity.” His compassion certainly exemplifies what it means to be a Red Crosser. Sarah Rothman, International Services and Language Bank Manager, wrote about Clara Barton in honor of International Women’s Day. She writes, “Throughout her entire life, Clara was a fearless leader in the humanitarian movement as well as the movement towards equality for women.” Sarah’s insight reminds us of the importance of our past and how it has affected our work today. Both posts appear on the national Red Cross’ Restoring Family Links blog. The blog is dedicated to documenting the successes of the international program to reconnect family members separated by armed conflict and natural disaster. Cody and Sarah’s posts serve as great reminders of the hard work Red Crossers do locally and all over the world to reconnect families and alleviate human suffering. Thank you for all you do!